“Although the Alaskan growing season is shorter, the long days of summer sunlight (maybe not this season with a record breaking amount of rain…) allow for some intense crop production. This intensity is displayed every year at the Alaska State Fair in Palmer where world records for giant produce are broken. One of the most notable competing crops is the giant cabbage. Steve Hubacek from Wasilla broke the world record in 2009 with a 127 lb cabbage! He took 1st again this year in the Giant Cabbage Weigh Off with his cabbage weighing in at 105.6 lbs to bring home the $2000 prize. 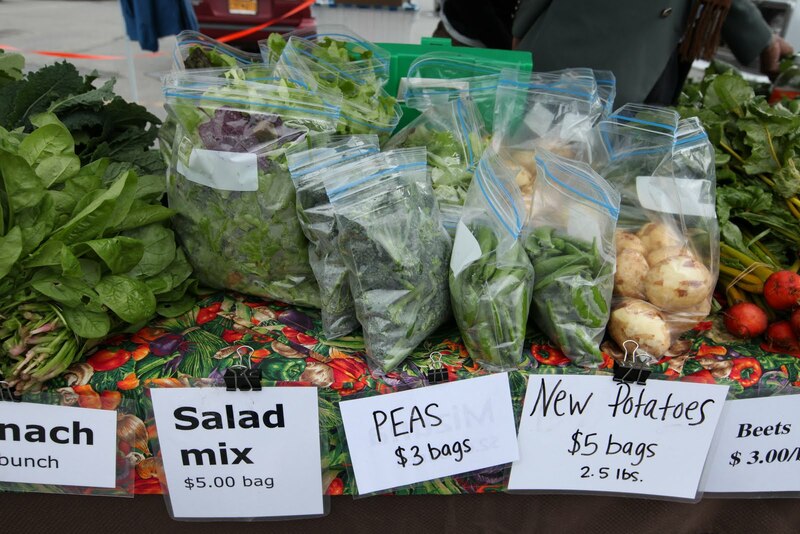 If you go to one of many Alaskan farmers’ markets, most of which are concentrated in the south central region of the Matanuska Valley and the Kenai Peninsula, don’t expect to see 100 lb + cabbages for sale at $2000. The giant vegetables are mainly a novelty for agricultural hobbyists. 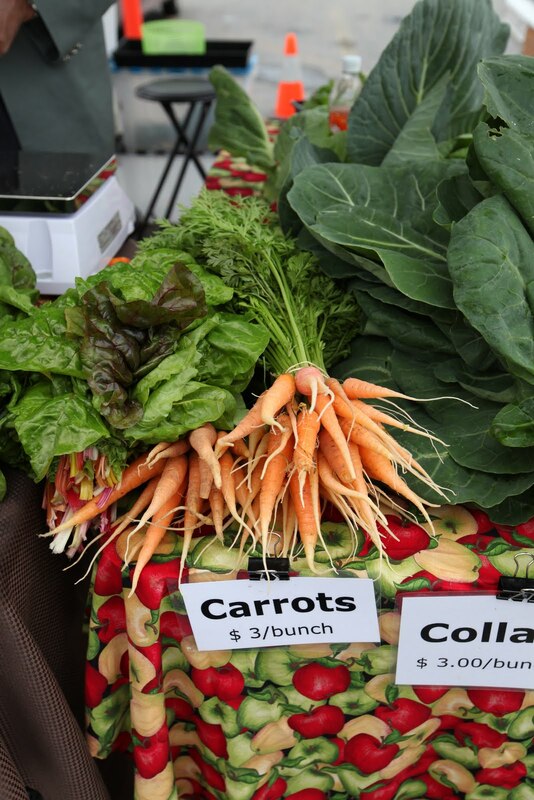 However, you can expect to see a bounty of fresh, great tasting local produce. You can also expect to see the “Alaska GROWN” slogan and logo everywhere. The slogan is represented with great pride throughout the communities. We’ve spent few days traveling in Alaska where we haven’t seen someone sporting the “Alaska GROWN” sweatshirt. 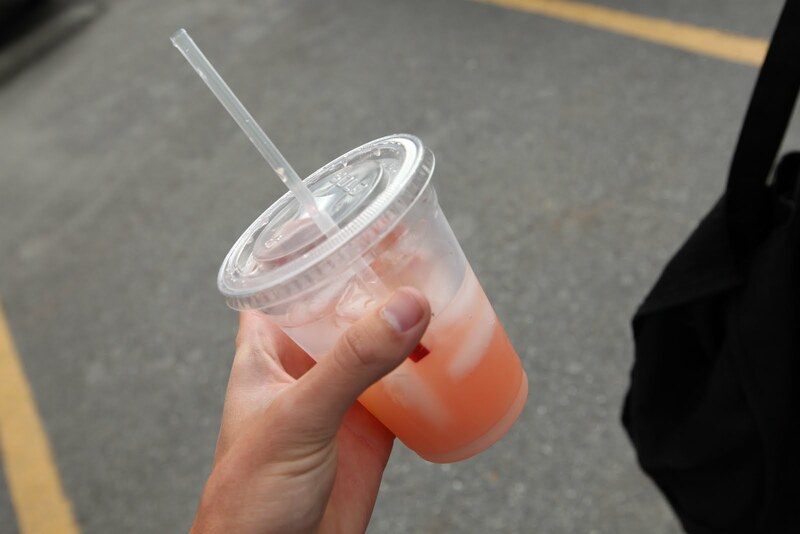 After perusing around some of the markets, we tried a rhubarb lemonade, which was a delicious local treat! But what really caught our attention was the “Fresh International Gardens” stand. It wasn’t their produce that stood out, although they had great produce, but the organization itself. 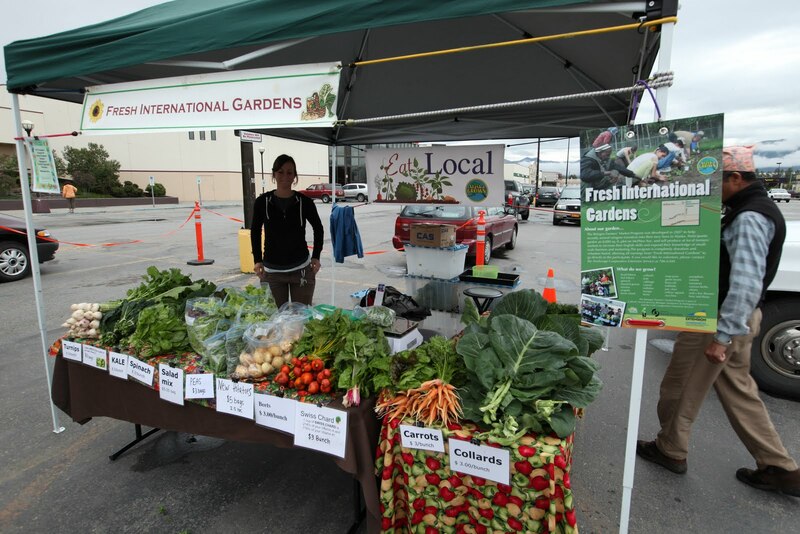 “Fresh International Gardens” is part of the Refugee Farmers’ Market Program, which was developed in 2007 by the Catholic Social Services Refugee Assistance and Immigration Services (RAIS) and the University of Alaska Fairbanks Cooperative Extension Service. 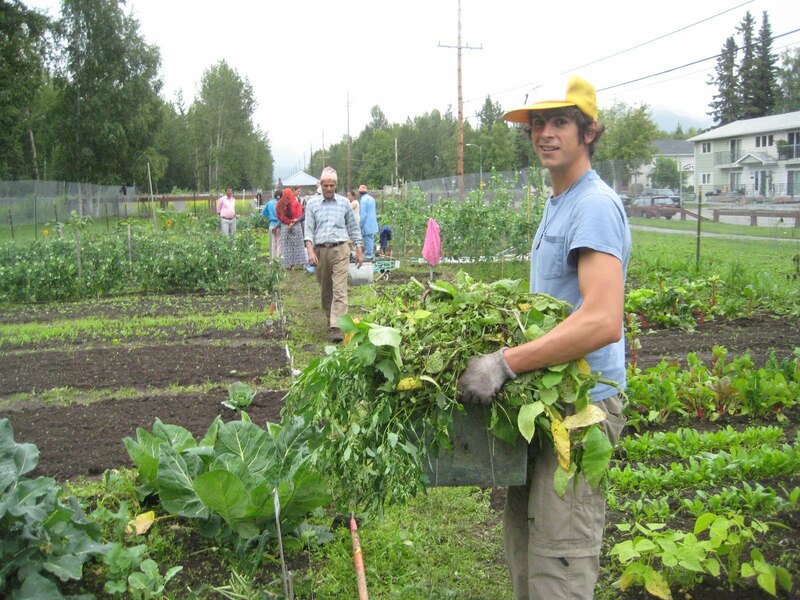 This program helps refugees resettle in Alaska by working on a community garden where they can sell their produce at the farmer’s market. It allows refugees to learn business skills, practice English, and earn a supplemental income while gaining a sense of community. It’s a great transition for the refugees as a majority have a long cultural history of agriculture. 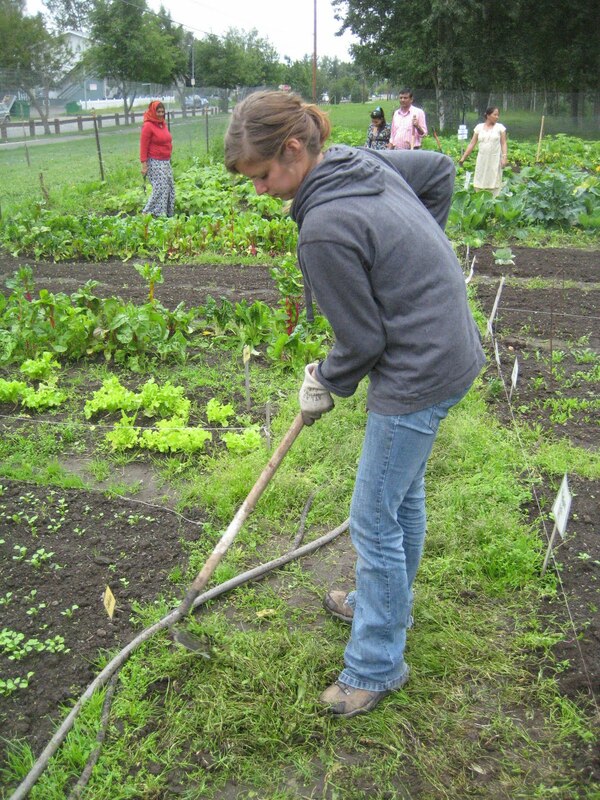 The program is funded by donations and volunteers so all proceeds go directly to the gardeners. This year refugees are from Bhutan and Nepal. 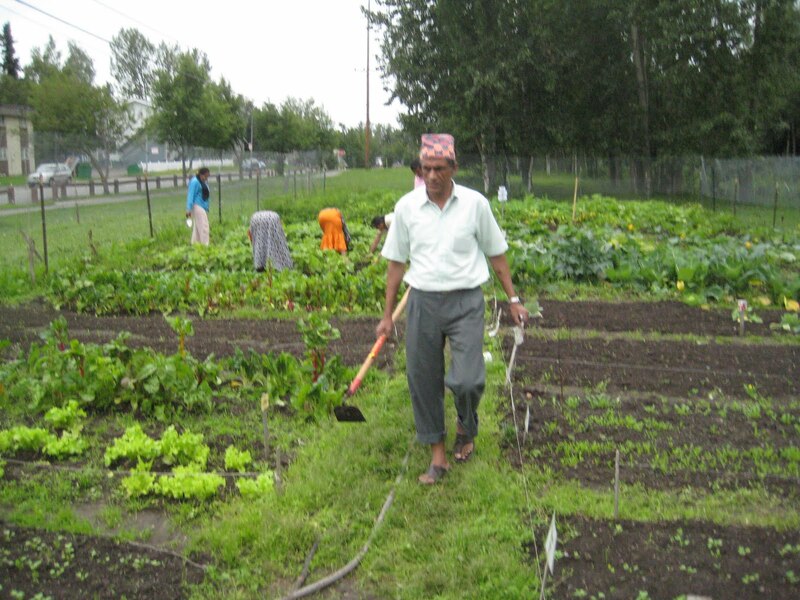 At the market, we met 2 Nepalese gentleman and Kelly Ingram who was part of Americorps VISTA and was managing the garden. After talking with them a bit and picking up some potatoes, we exchanged emails so we could volunteer at the garden to see more of the project in action. 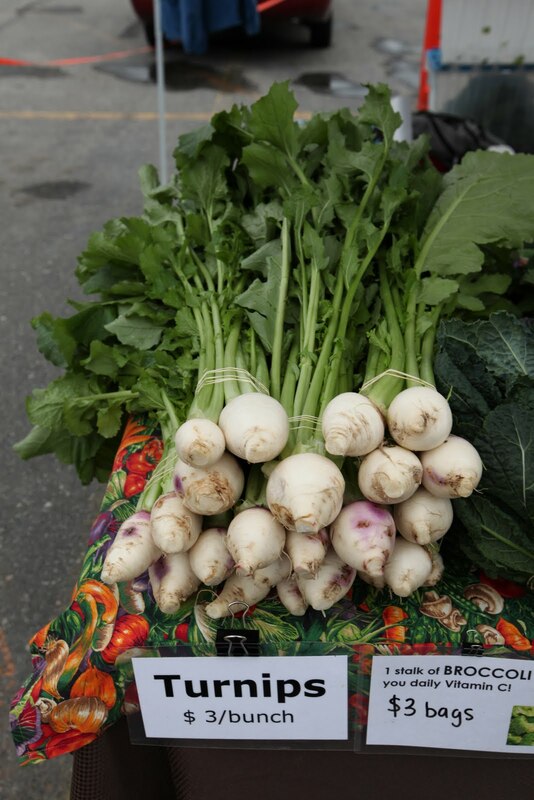 This entry was posted in On the Farm and tagged alaska farmers markets, fresh international gardens, gardening, Kelly Gallagher, largest vegetables, Marty Stano, Real Time Farms. Bookmark the permalink.